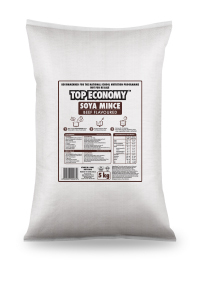 TOP ECONOMY NSNP Soya Mince is approved by the Department of Education and is fully compliant with the National School Nutrition Program (NSNP) specifications. • Protein content exceeds the required 24g per 100g of product. • Low Sodium Content below the stipulated 1500mg per 100g. • Includes added vitamins and minerals such as Calcium, Iron, Zinc & Vitamin A. • The product is both Halaal and Kosher certified.